Ten or so years ago, most equipment from the Far East was known for being cheap and having low production values. Well, that has changed. Of course, there are more and more European and American companies outsourcing their production to the Far East but I’m talking about serious hi-fi that is not only fabricated in China but also designed there. I’ve now come across several Chinese brands that make high-quality products that compete with much higher priced European or American competitors. As it would turn out over the course of this review, Audio GD is one such brand. Prior to this review, I was not familiar with the Audio GD brand. When I asked Jos Schellevis of Magna Hifi about their price brackets he responded that it might be more interesting if I would review them not knowing their prices. He was absolutely right and so I refrained from looking them up until after having formed my opinions and, contrary to my usual method, I will not mention the prices until the end of this review. I will disclose that when I did look up the exact prices later, I was very pleasantly surprised! Led by Jos Schellevis and Rob de Brouwer, Magna Hifi is not just a selling point, they also have their own servicing department that handles repairs as well as modifications and upgrades. They also develop interesting audio components such as the I2S Mano streamer and they offer their own line of cables, including the ACSS current cables, which are similar to, and compatible with, Krell CAST. Naturally, Magna Hifi can supply any component that you like, but to make it easy for the consumer, they pre-selected precisely those components from the lineups that were liked most, that offer the best price/performance ratio, and which work most synergistically with each other. Magna Hifi was created due to the limitations of the musical characteristics of a popular media streamer. Because both Rob and Jos have an electronics background and both also work at a high-tech hardware and software company, it was no surprise that the streamer was quickly found in parts on the desk. The improvements that they implemented were pivotal and that made them decide to set up Magna Hifi. 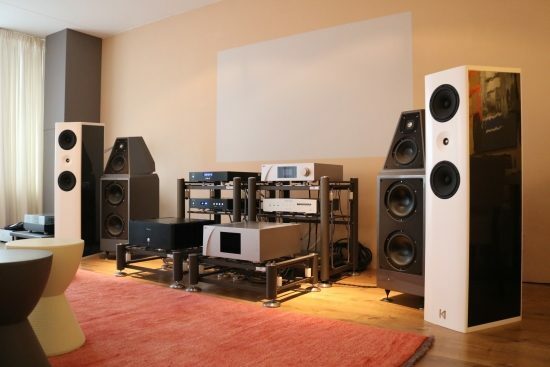 They’ve since grown into a distributor and reseller of, among others, Audio-GD, Holo Audio, and Singxer. Perhaps the most well-known manufacturer to use a similar technology is Krell, who applied the Current Conveyor Technology in their products called “CAST”, which stands for “Current Audio Signal Transmission”. In Japan, there are a few very expensive products based on Current Conveyor Technology that they call “SATRI”. In Audio GD products a similar Current Conveyor Technology is applied and to avoid conflict, it is called “ACSS”, which stands for “Audio-GD Current Signal System”. In Audio GD, ACSS technology is not only applied in the analog field but also in digital signal transmission such as with transports and digital converters. While CAST, SATRI, and ACSS are all forms of Current Conveyor Technology, their implementations are different. 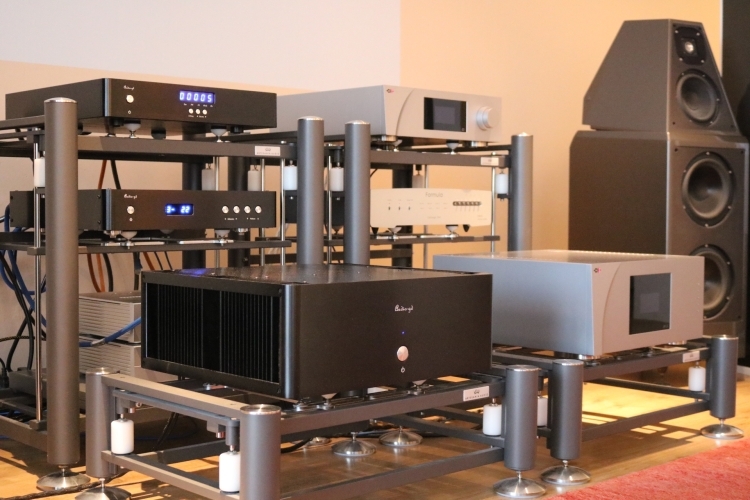 While the three formats use different connectors, Audio GD ACSS products work just fine with KRELL “CAST” and SATRI products. In short: these technologies enable signal transfer via current, rather than via voltage, which is helpful for two reasons. First, it enables very simple circuits and simple is nearly always better. Second, current conveyance is unaffected by the non-linearities that are inherently present in transistors. For a more detailed description please head to the Audio GD website. The current-driven ACSS connection method is compatible with Krell CAST. 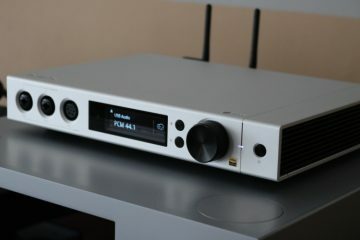 However, Krell amplifiers have lower gain compared to the Audio-GD Master series amplifiers when using the CAST connection. 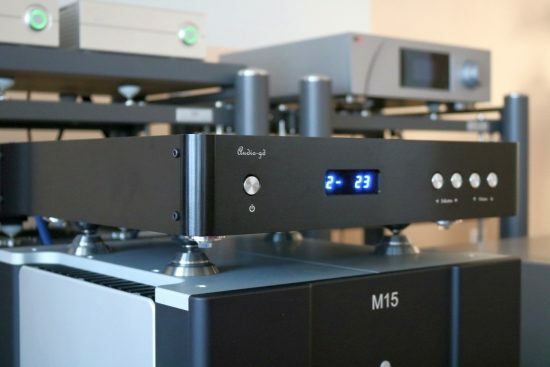 To address this, customers can custom order the Master 1 to have higher ACSS output gain if expecting to connect to Krell amplifiers. After the assessments of the components, I will dive into the audible differences between Audio GD ACSS cables and Magna Hifi ACSS cables, as well as compare them to a range of my usual cinch and XLR cables. Here I’d like to point out that the ACSS method is no gimmick. The Audio GD components absolutely sounded their best when using ACSS, and better than with any of the cinch or XLR cables that I have at hand, and that includes very pricy ones. The Audio GD products have a clean and purposeful, simple appearance, with a build that is reminiscent of Ayon products, albeit with all screws in sight, and, on some models, protruding (sticking out), rather than being flush. To address this and make for a cleaner appearance, Magna Hifi offers a service to replace all the protruding screws with flat, flush mounted types. That kind of service is another upside of purchasing from Magna Hifi. 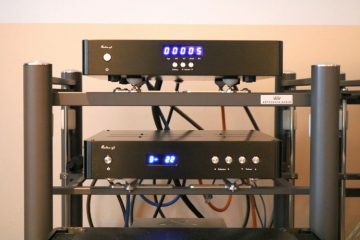 Reviewed here are the Master 1 preamp, R8 DAC, and Master 3 power amp that will be used as a complete system as well as independently, and will be compared with a range of other components. All three components are true balanced designs and all are capable of being connected via ACSS, which is a current-driven connection, similar to, and compatible with, Krell CAST, as well as via cinch and XLR. The signal-carrying circuits are built exclusively using discrete components and no SMD components and no Op-Amps are applied in the analog section. 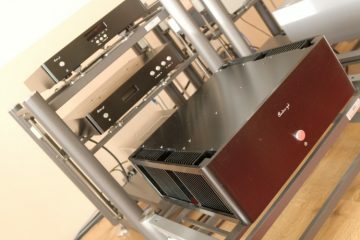 Heavy emphasis has been placed on the power supplies, the preamp using 3 R-core linear power supplies with 9 stages of regulation and the DAC using no less than 21 low-noise regulation stages. According to the official specs, all parts and components are selected based on sonic performance as well as technical measurements and in all cases, high-grade parts and exactly matched transistors are used throughout. Looking at the circuit boards, their layout, and how they are populated, it is clear that these products really are built with great care. Because all the components were still new, I kicked off my listening sessions by using all three components together, all interconnected using ACSS cabling and let them acclimatize for over two weeks by being switched on all the time and playing music as much as possible while assessing the intermediate performance now and then. I found that while the DAC and preamp were very quick to settle, the power amp took by far the most time to perform its best and fill out tonally, going by my findings at least a week of continued use, with further smaller gains beyond that. Although we’re only at the beginning of this review and I will dive deeply into the three components’ individual qualities further down, I will jump the timeline, straight to later in the reviewing process, to comment on these component’s performance as a complete system, using all Magna Hifi ACSS connections: it’s simply impeccable! With this system driving the Kroma Audio Carmens, I was entirely happy. This was a performance that bordered on what’s normally possible only by using reference-class equipment that carries multiples what the Audio GD system costs. Was there nothing to nitpick, then? Sure there was, and I’ll get into that in the next two parts of this review, but the point is that the combined delivery was so natural and transparent and so convincing and engaging that I could just relax with it and enjoy whatever I played. And never did I have the feeling that I was being shortchanged in any way. Given the level of components that I am used to listening to, that is quite an achievement. Although the components themselves are of course mainly responsible for this, as would become clear later, a sizable chunk of the performance came from using ACSS cables throughout, further making a case for the system approach. In the running in paragraph you mention using all components together, so I wonder how you manage to establish that it is the power amp that needs the most time settling in, rather than the preamp or DAC. How can you tell? Fair question Johan! Well, it’s simple, really. I just shuffled the timelines in the story-telling. In reality, I first listened to the DAC, then the preamp, and then the power amp. When I found the latter to sound thin at first, I left it switched on while tending to other things to review and revisited the amp later and only the complete system all the way at the end. Thanks for clearing that up, now it makes more sense.